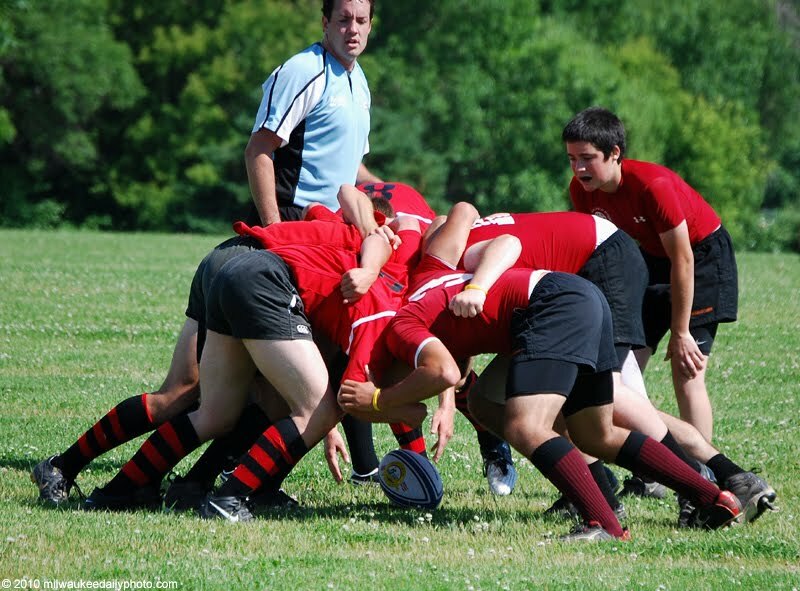 This year's Lakefront 7s rugby tournament will be held on Saturday, June 26th. Competition for both men and women is in eight different divisions, from High School up through the "Old Boys". Make plans now to stop by and check it out! Today's photo is from one of last year's High School Boys games. Good to see rugby has a place in your lives.